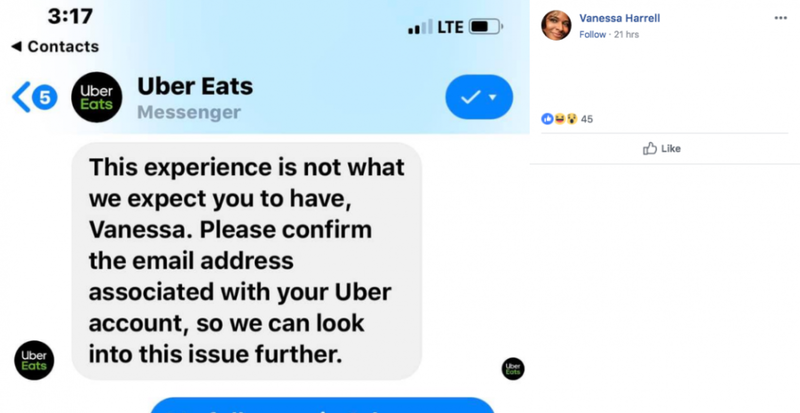 Vanessa Harrell penned a public Facebook post about an Uber Eats driver who had allegedly eaten (most of) her food last week—and it has since gone viral. She called out the Uber Eats driver by name and added that had she known the woman was hungry, she would have happily given her the food. Just four days after the Uber Eats nightmare tale went live on Facebook, Harrell’s post had racked up over over 35,000 reactions, 50,000 shares, and over 250 comments. 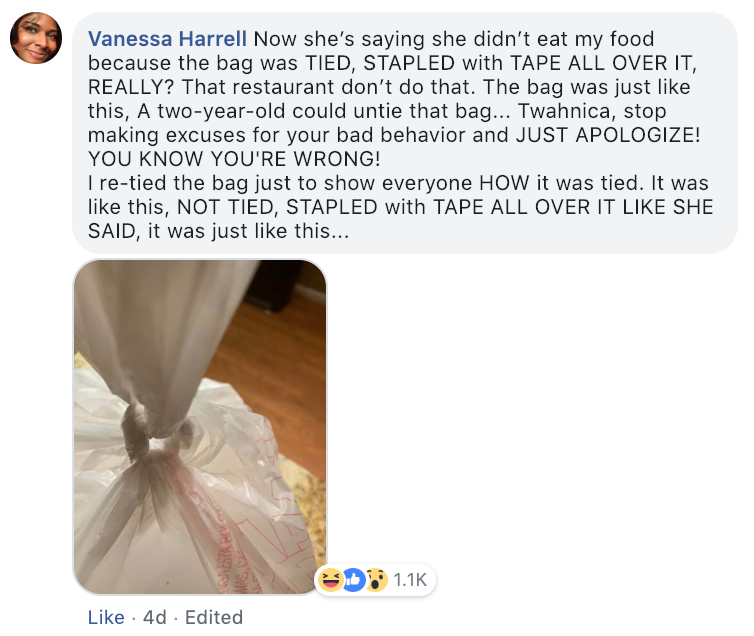 She personally replied to skeptics, and even updated those following the story about how the driver had tried to cover up her misdeeds by stapling and taping the food bag back shut. Why only eat SOME of it, rather than all, Harrell wondered? 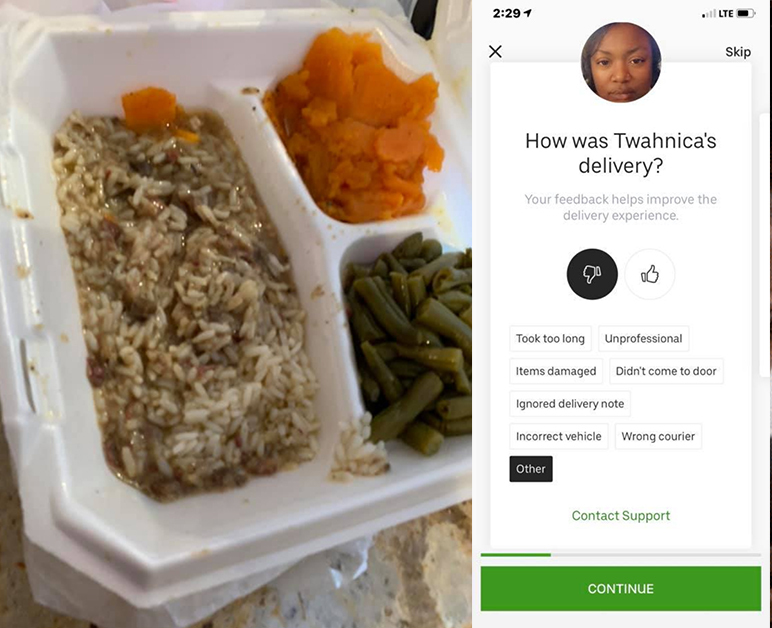 Harrell said that Uber Eats eventually contacted her, and refunded her meal. 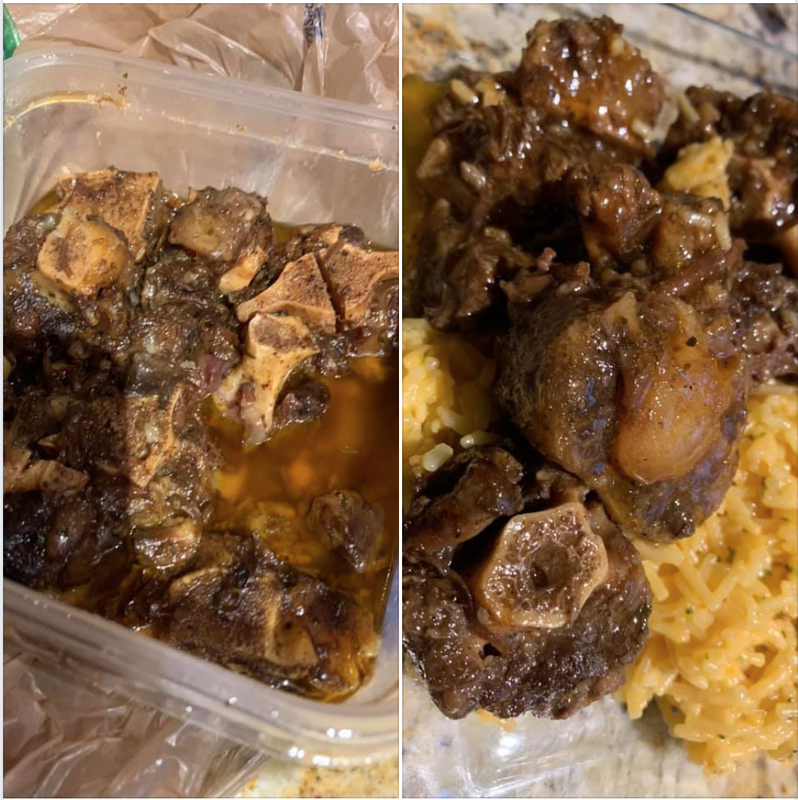 And four days later, wrote another Facebook post revealing that a friend had taken pity on her, and that she’d finally gotten her oxtails—but added that she will never be using Uber Eats again. Her trust is GONE, she says.